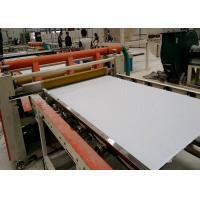 Gypsum board lamination machine is to laminate fiber glass or paper or PVC film and aluminum foil, on gypsum board. 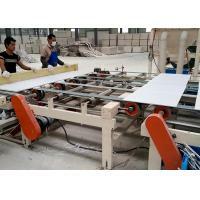 Gypsum Board Laminating Machine is not only well- shaped, high intensity, durable in use, non-poisonous, but also good for adjusting inside room temperature, and keeping health for human being. No doubt it is an ideal green construction material, which is commonly used in public area, such as shopping mall, station, and casino. It is not a kind of art, but excel as art. elegant in design, unique in pattern. 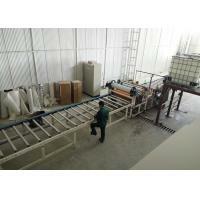 Cylinder push, photoelectric control, Max.Cylinder range 700mm. Through the push board platform rubber roller rolling transmission to accelerate speed,with the feature of low cost,economic and affordable (comparing to the suction type),easy to operate,fully automatic feeding. 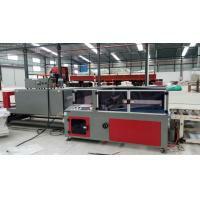 This machine is used for cutting the laminated gypsum boards to a size of board according to saw gauge standard. 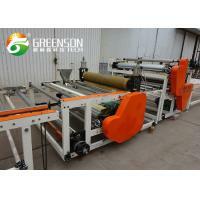 First, put board to delivery roll, then come to the cutting system for the first time, and it turns to cutting system for the second time though delivery roll, then come to the board. 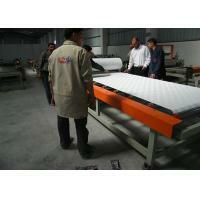 It can be made a set of pulsed sack-duster for requirements. completion of the sealing and cutting edge, using infrared ray heating for the film contraction. 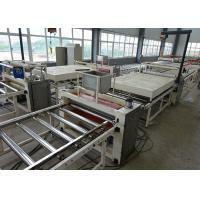 This machine is a gypsum board ceiling decoration edging equipment, PLC photoelectric automatic control, high speed, high capacity. Edging tight and firm. Less investment in equipment and quick. 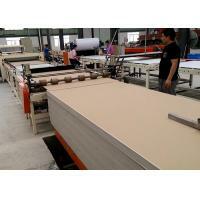 It is a board(plasterboard), Hemming preferred equipment. Hebei Greens Building Material Technology Development Co., Ltd(a branch company of Lvjoe Group) is a large building and construction material machinery manufacturer specializing in researching, designing, manufacturing, project equipment integration and international trade. 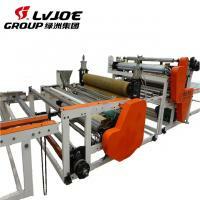 Lvjoe Group is original from Hebei LVJOE Machinery Manufacturing Co. Ltd., founded in 1998. With continuing development of company’s business, we established Lvjoe Group in 2016. 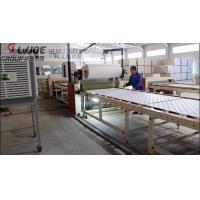 Greens company as a branch company of LVJOE Group, the main lines of products including gypsum board lamination machine, mineral fiber board production line, fiber cement board production line, MgO board production line, EPS Lightweight Sandwich Wall Panel Machine,gypsum cornice production line, etc. A strong R&D team and big annual scientific research funding have created the status of the “GREENS” in the overseas and domestic building materials equipment industry. Our company strives for survival with quality and credit, seeks development with realistic attitude and innovation, and strictly implements 5S site management and ISO9001 quality management system. We won the praise and recognition from the customers through all the employees’ highly professional dedication and good service attitude under the intense competitive environment. Our company are willing to provide good quality products and services to customers from domestic and abroad by our good reputation and superb technology. 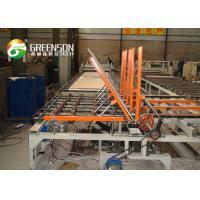 Build and decorate a beautiful world by GREENS’ equipment is the spirit of the idea we pursuing.